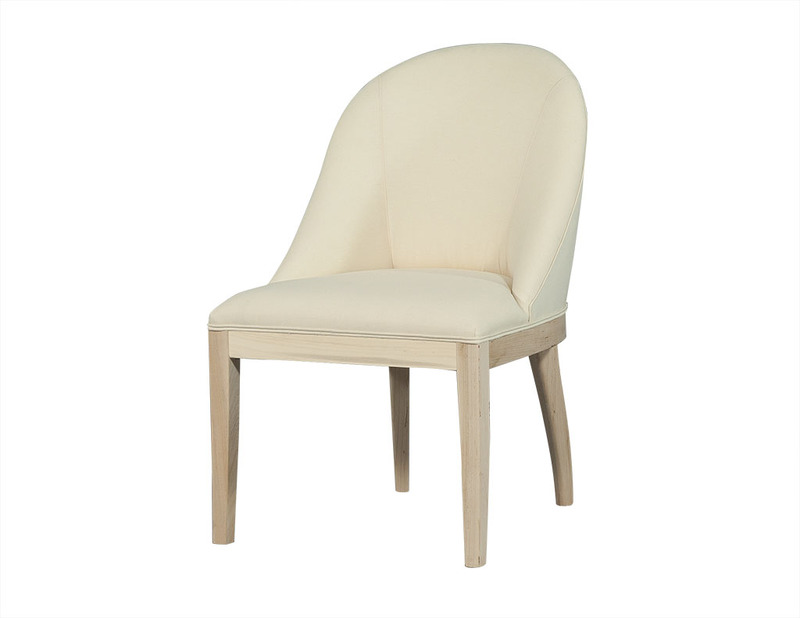 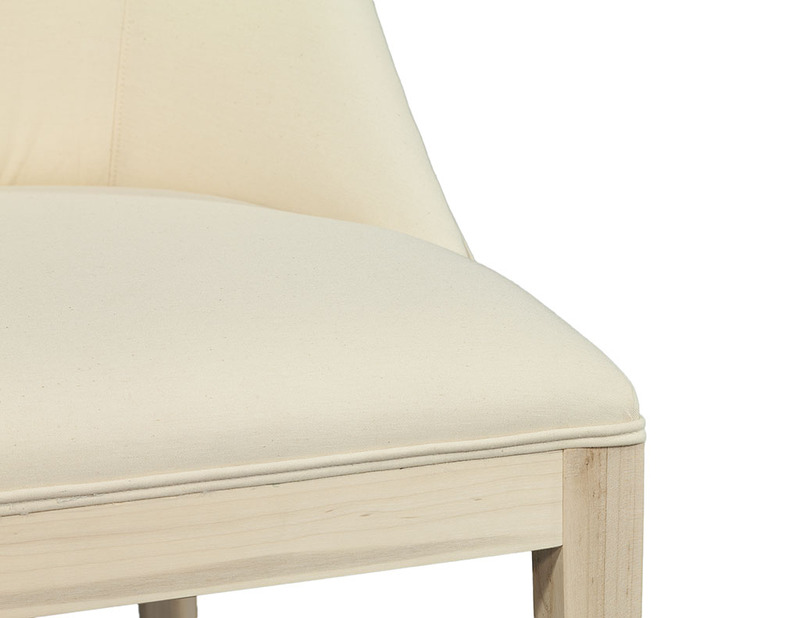 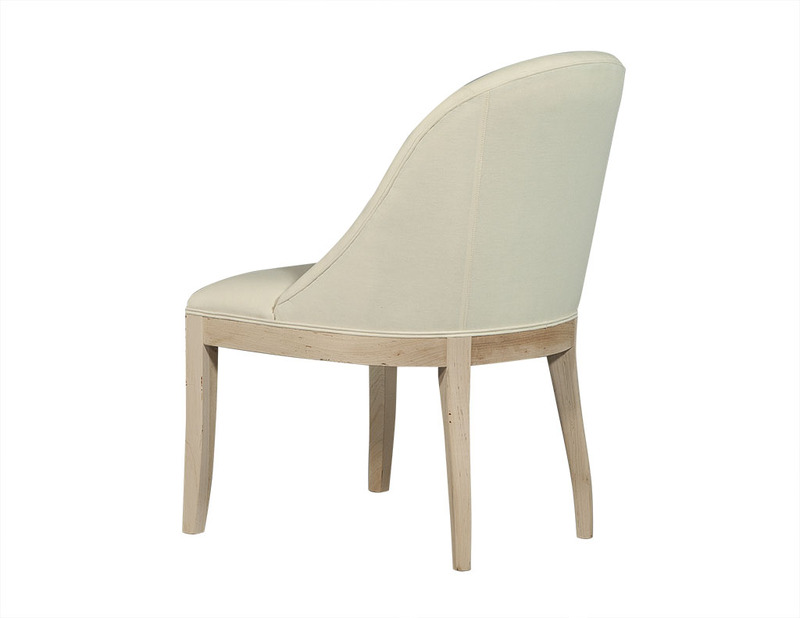 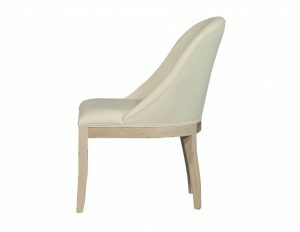 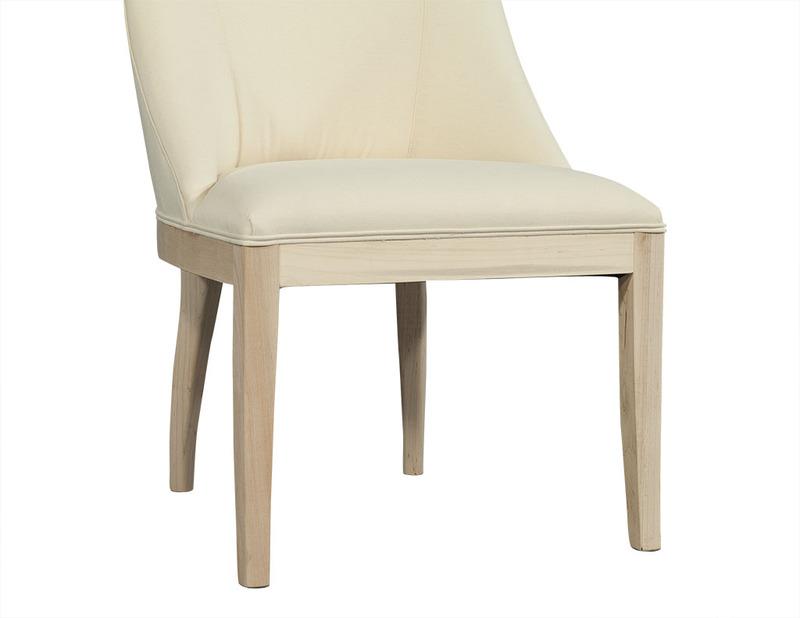 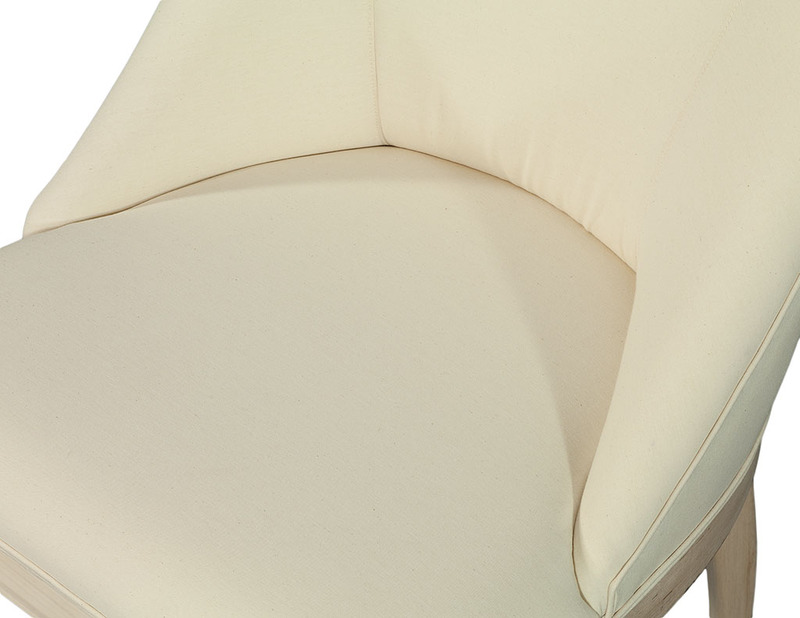 This Transitional style side chair is a Carrocel Custom piece. 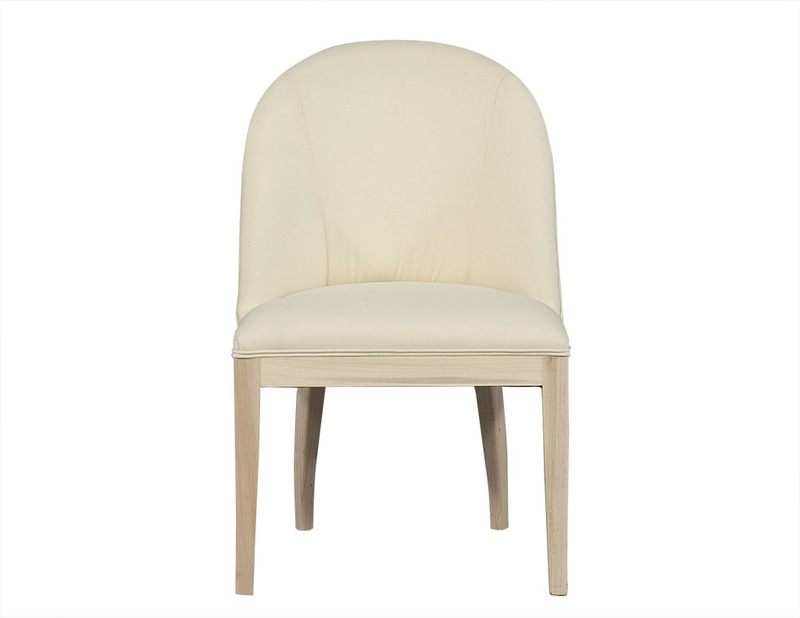 The frame is composed of unfinished beechwood with a curved back rest and wood base under the seat that can be seen on all sides. 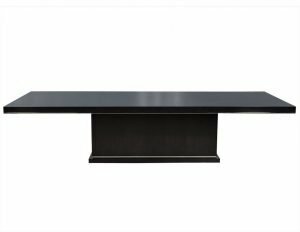 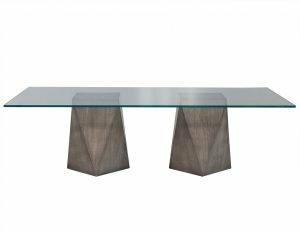 Made to order, you can really make this piece your own and make statement in your dining room! 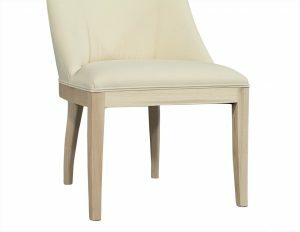 Price listed is COM.